FB Posts on Rahu-Saturn impact ascendant wise, Mars transit in Taurus. So, I have made some important Facebook Posts in recent times which can be useful for all. So, I am posting them here. 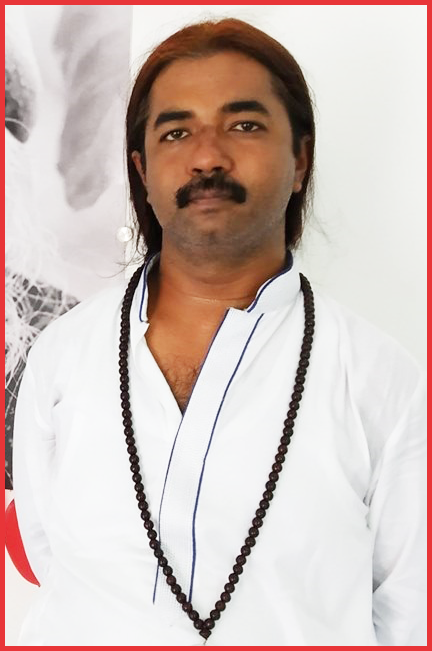 If you want to get fresh Facebook Posts and join discussion, you can follow me there - https://www.facebook.com/astrovishalsaxena/ . 1. Sun in Pisces and Mars in Taurus are going to create a Paap Kartari Yoga for Aries sign. So, whichever house Aries sign is falling in chart, the results related with that house will be reduced to minimum. This effect will be till 14th April. 2. Mars from Taurus and Ketu from Sagittarius will aspect Leo sign. Mars-Ketu joint impact is always stressful and creates a kind of war-zone. Mars-Ketu together represents explosives. So, wherever Leo falls in your chart, things can be really stressful for that house. 3. Between 29th March, 2019 to 23rd April, 2019, Jupiter will also be in Sagittarius and its aspect on Leo will show some knowledge, wisdom or guidance attained regarding the house where Leo is falling in chart. 4. Like, for a Scorpion like me, Mars-Ketu will aspect 10th house/Leo and can create stressful situations with authorities if I am working under other's authority. At the same time, Jupiter's aspect will give some wisdom on how to deal with that stressful situation. 5. Rahu-Jupiter will also aspect each other from Gemini-Sagittarius axis but this mutual aspect won't be chaotic like Rahu-Jupiter mutual aspect which we just had at Cancer-Scorpio signs. This mutual aspect shows that Jupiter in Sagittarius is giving some knowledge and learning to person due to the chaotic/transformative events of last 6 months and Rahu is enhancing that knowledge and wisdom. 6. But the biggest impact will be on Sagittarius sign where Saturn-Ketu-Jupiter will be together and Mars's 8th aspect will be there. So, Sagittarius sign will have the impact of Saturn, Mars, Rahu/Ketu and Jupiter for 1 month. 4 out of 5 planets are malefic and that 5th planet (Jupiter) will also be in Gandanta and Retrograde. Hence, we can't say that Jupiter can be much of saving grace from the impact of 4 malefic planets. 7. This can create some major changes in the house where Sagittarius falls in your chart. It is because Saturn itself is changes, Mars 8th aspect is all about changes and Ketu is always a separation factor which in itself means change from existing situations. 8. At mundane level, we can see a rise in fundamentalism and people ready to fight for what they believe in? Again, as Sagittarius is 12th from Capricorn, it can be a tough time for anyone who is in Govt or Authoritative position. It is also not the time to be authoritative towards others. Overall, watch-out for the things related to the house where Sagittarius falls in chart as maximum energy is accumulating there for next about 1 month. As always, the end result is product of Chart + Dasha + Transit. 1. So, Rahu-Saturn joint impact will impact their 6th house/Aquarius till Jan, 2020 and then it will impact their 2nd house/Libra till Sep, 2020. 2nd house is of family, wealth and assets. 6th house is of illness, conflicts and daily work life. Both these houses are career related houses. So, their focus till Sep, 2020 will remain on these houses. 2. As discussed, Rahu-Saturn joint impact creates a feeling of frustration and limited results in the houses thus impacted. It also makes us work hard in matters related to those houses. 3. So 1st of all, this impact will take place in 6th house of Virgo people which is about daily work life, conflicts and illnesses from March, 2019 to Jan, 2020. It means that they will feel that they are not getting enough results in matters of their career and work. They will have some stress going with their colleagues at work. . They would need to put an extra effort to gain anything in their career. Same thing applies for students or sports persons as this is also a house of competitions. 4. This joint impact can also bring health issues and they should be pro-active to mitigate any illness effect. Any illness coming in this time can become a long term health issue. It can be any Saturn related health issue like bones, body aches, joints and teeth etc. As Rahu represents alternate things, alternate ways of medication can be more helpful for them. But whichever medication they are taking, they need to take it for long duration to show any result due to Saturn impact. 5. Then this joint impact will also work on any litigation and conflict Virgo people are going through. Ideally, they should avoid conflicts and litigation as much as possible but if litigation or conflict is going on then they would feel that despite their best efforts, they are not getting expected results through it. They have to sustain their efforts for a long term without much rewards and mentally prepare themselves for a long drawn litigation. This can also have an impact on their health. 6. Then this joint impact of Rahu-Saturn will be on their 2nd house/Libra from Jan, 2020 to Sep, 2020. As 2nd house is about wealth, family & assets, they would have to work really hard to save their money and create their assets. There will be an environment of stress in family. 7. Saturn impact on 2nd house of family can also take them away from family and family lineage. 8. Overall, it is time to focus on career and wealth related matters. They also need to take care of health and avoid any conflict or litigation. .
Again as always, final event is accumulated result of Chart + Dasha + Transits. 1. So, Rahu-Saturn joint impact will impact their 7th house/Aquarius till Jan, 2020 and then it will impact their 3rd house/Libra till Sep, 2020. 3rd house is of travelling, business, communication and younger sibling. 6th house is of relationship, partner and business. Both these houses are travelling and business related houses. So, their focus till Sep, 2020 will remain on these houses. 3. So 1st of all, this impact will take place in 7th house of Leo people which is about relationship, partner and business from March, 2019 to Jan, 2020. It means that they will feel that they are not getting enough results in matters of relationship and partner. Either they will be away from their partner/spouse or there can be continuous stress and frustration in matters of relation/spouse. 4. It is better to keep patience and work towards sustaining relationship. One thing is sure that they can't expect desired results in relationship matters. It is time to work hard towards relationship & partner and try to be as flexible & as accommodating as humanly possible. 6. Then this joint impact of Rahu-Saturn will be on their 3rd house/Libra from Jan, 2020 to Sep, 2020. As 3rd house is about travelling, business and younger sibling, they would be feeling the pinch in relationship with their younger sibling. It can again bring some travelling which may bring hard ship. 7. Inclination can be there to learn something new but again, Rahu-Saturn will give results only after immense hard work and perseverance. 8. Overall, as 3rd house and 7th house both relate to business and travelling, their focus can be on travelling or working on business idea. As it is routine for a Leo ascendant and I think for every ascendant and whole humanity, they will feel the pinch in relationship matters and things can work only with patience, flexibility and perseverance. 1. So, Rahu-Saturn joint impact will impact their 8th house/Aquarius till Jan, 2020 and then it will impact their 4th house/Libra till Sep, 2020. 4th house is of home, home land and mother. 8th house is of marriage/business benefits and major changes in life. 3. So 1st of all, this impact will take place in 8th house of Cancer people which is about relationship,and business benefits from March, 2019 to Jan, 2020. It means that they will feel that they are not getting enough results in matters of relationship and partner. Either they will be away from their partner/spouse or there can be continuous stress and frustration in matters of relation/spouse. 5. Similar frustration and lack of results they can see in their business matters and they may have to work double hard to make their business give them benefits. But as business is ajeeva karaka, results can be expected from business rather than from relation. More so because relationship benefits depend on mutual adjustment/co-operation of two individuals whereas business results are dependent on only the hard work of one person, i.e. business owner. 6. Then it is also house of major changes of life. So, they can expect to go through a major change in their life during next 10 months time. The positive or negative nature of change depends on the dasha they are running through. Benefic planets dasha can bring change through positive event else vice-versa. 7. Then this joint impact of Rahu-Saturn will be on their 4th house/Libra from Jan, 2020 to Sep, 2020. As 4th house is about home and mother, it can bring some stress or frustration related to Mother or her health. Home environment can be stressful too or they can have limited access to Mother or home due to travelling or other reasons. 8. As it is house of real estate too, they can put efforts in gaining property too but things will happen only after delay, hard work and perseverance. 9. Overall, it can be a time of some major changes in life and as always, positive/negative nature of final event can be assessed only through Chart + Dasha + Transits.